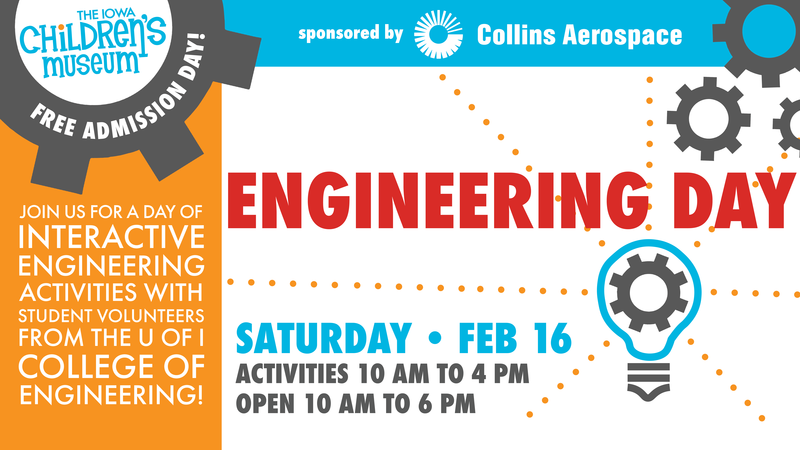 Saturday, February 16 is Engineering Day at The Iowa Children’s Museum with FREE admission sponsored by Collins Aerospace! Join us for a fun day full of interactive engineering activities with student volunteers from the University of Iowa College of Engineering. Activities will run from 10 AM to 4 PM, but the museum is open (and FREE) all day from 10 AM to 6 PM. Come play!